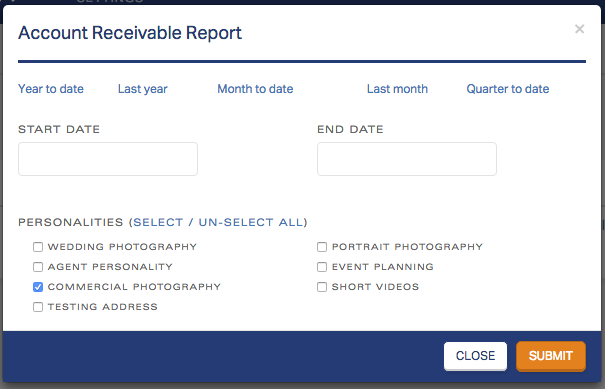 An Accounts Receivable Report shows you the number of outstanding invoices and their value within a certain date range, sorted by specified personalities. Go to Reports < Accounts Receivable Report. This will bring you to the page where all your A/R Reports will be housed. The system will generate a new report and input it into the report list as “Finished.” From there you can view it, delete it, or download it externally as a PDF or an Excel Spreadsheet. You also have the flexibility to choose how the report is ordered. If you click on any of the column descriptors, the report will arrange according to that classification.